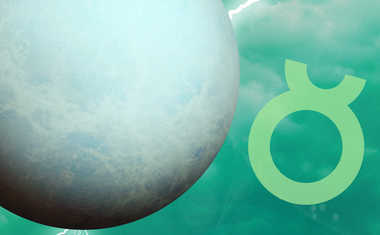 Uranus is the rebellious planet of awakening, change, and surprise. It's the planet that makes us react -- it shocks us and pushes us into action through sudden events in our environment, or by revealing radical truths within ourselves. Are you a real risk-taker, or do you seize up when confronted with change? Whatever your style, you can thank Uranus for that. Uranus was discovered by Sir William Herschel in 1781, after the invention of the telescope. Along with Neptune and Pluto, Uranus is a planet that required a telescope for its discovery, since it's too far from Earth to ever be seen by the naked eye. In Greek mythology, Uranus was a god that personified the sky (Father Sky), and was both the son and husband of Mother Earth. Uranus and Pluto are the only planets named after Greek gods, while the rest of the planets' names come from Roman gods. Uranus rules over quirky Aquarius, the humanitarian of the zodiac. Aquarius is a visionary that fights for the greater good. 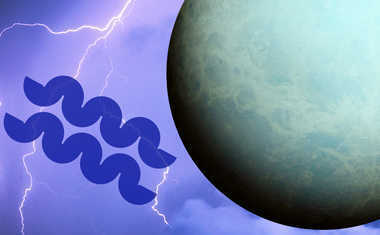 Uranus, the planet of change and surprise, inspires Aquarius' sense of progress, creation, and desire to cause a reaction! The 11th house is about your relationship to the greater things around you: social groups, organizations, and even humanity. This house, like the awakening planet Uranus, is also about future and vision -- your aspirations for a better you and a better world. Uranus takes us beyond the bounds of the known. It was the first planet discovered by telescope, doubling the size of the solar system in one night. It came into consciousness between the American and French Revolutions, breaking down the rule of royalty and giving birth to democracy. The late 18th century was also a time of invention as the dawn of the steam age began the process of replacing humans and animal labor with machines. Today Uranus still represents breakthroughs that produce freedom, but which also shock us with surprises and uncertainty. It's natural to react to stressful times by pulling back into a protective mode. Being cautious is a logical response to the uncertainty that seems to be so prevalent these days. However, the economic, environmental, and social problems we face collectively cannot be resolved by returning to the past. The same is true on an individual level as challenges in work, at home, and in relationships are rarely overcome by defensiveness and retreat. 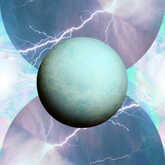 Uranus represents invention and the willingness to leave the past so that we can change our world for the better. However, when we face the need for individual or collective change, we sometimes believe that we must go to extremes. And when extreme measures seem necessary, like quitting a terrible job or confronting a crisis in a rocky relationship, it's difficult to make radical changes without risk. 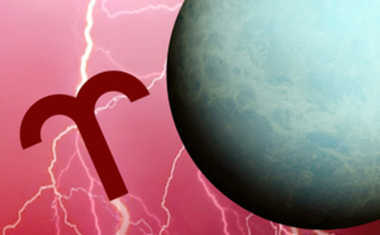 The lesson of Uranus is to first practice breaking patterns in areas of life that aren't critical. It's like getting training to become an emergency worker. You don't start learning to be a firefighter by jumping into a burning building. You want to turn your life in a significantly different direction, whether it's changing your career, losing a lot of weight, or becoming more assertive in dealing with people, do some change training first. Altering small but habitual patterns begins to loosen rigidity, helping you develop the flexibility needed to manage revolutionary Uranus. Shift the order of your morning routine, part your hair on the other side, alter a bit of your schedule. Do and say different things in risk-free situations as practice for making bigger changes in your life. If you have difficulty expressing your needs with others, don't begin with your spouse in the middle of an argument. Start by returning an item you purchased or by kindly asking to have your undercooked meal sent back to the kitchen in a restaurant. These are the gentle alterations in behavior that build confidence toward making more dramatic ones later. Freedom and breakthroughs sometimes come in an instant, like lightning. Failure to prepare ourselves for change is more likely to lead explosions than to liberation. As much as we want others to alter their behavior, the place of greatest potency is in altering our own. This process of rehearsing in safe situations builds a foundation of experience and confidence that allows us to lead successful revolutions that not only improve our lives, but serve as models for innovation and making constructive changes in the world. Not sure where Uranus is in your birth chart? 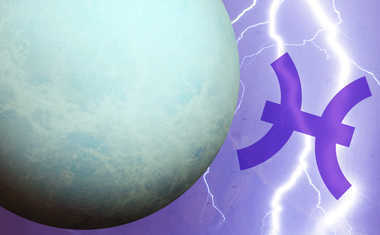 Get a FREE Essential Birth Report and learn more about YOUR Uranus placement below!